Need to add a little bit of sweetness to your meal plans? 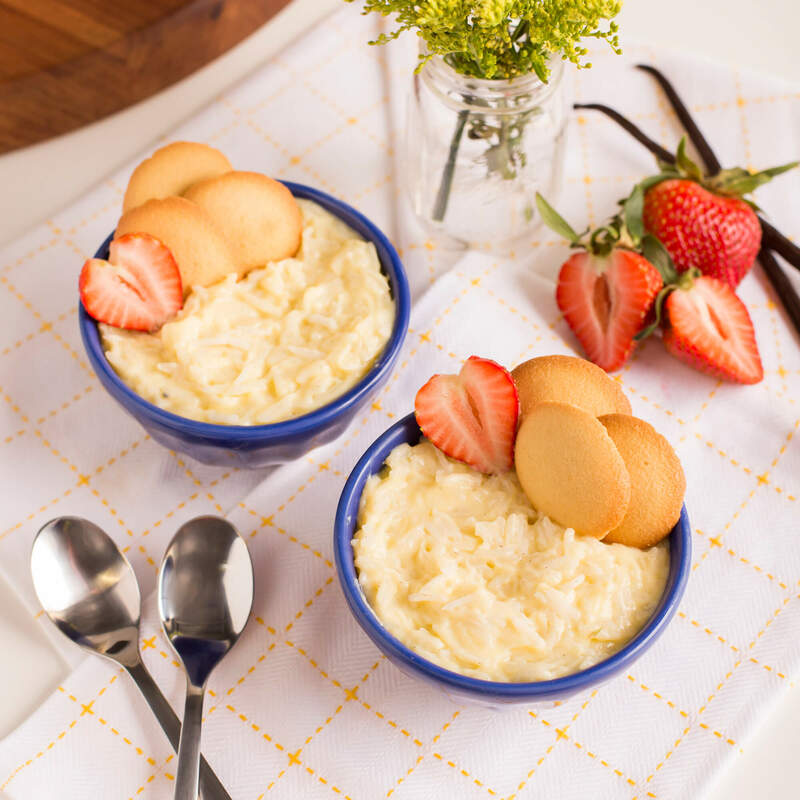 Dive into our Vanilla Custard Royal® Basmati Rice Pudding recipe! In a medium sauce pot with a tight fitting lid, combine rice, water, and salt. Bring to a boil, then reduce heat to a simmer and cover. Cook for 15 minutes, or until water is absorbed. Fluff with a fork, then set aside, covered. While the rice is cooking, make the pudding. In a medium sauce pan, combine the milk, sugar, cornstarch, salt, and vanilla bean seeds. Heat over medium-high, whisking frequently to keep the sugar from burning. Once the milk mixture is hot, reduce heat, then pour ¼ of a cup into the eggs and whisk. Add another ¼ cup of the hot milk to the eggs and whisk again. Slowly add the egg/milk mixture to the rest of the milk, whisking continuously. Continue whisking until the mixture starts to thicken. Once thick, remove from heat. Add the rice and stir to combine. Serve warm or cold, with vanilla wafers.